Work-life balance is one of the puzzles home-based outsourcing can solve. Outsourcing benefits businesses and service providers because it stimulates a healthier working environment and relationship for both parties. ‘Outsourcing’ is an often-misunderstood term that implies both negative and positive perceptions for businesses and job seekers. As the crowded world gets smaller, you already need to understand why home-based outsourcing, particularly in the Philippines, is best for your company. There are always two sides of a coin – sides that are proportional. Otherwise, if one-sided, it ceases to function as a fair play. Businesses relying only on capital and fixed assets will not function without people. Manpower is one of the most important assets of small, medium, and large-scale businesses. To earn more profit, they need to hire the best and most skilled people in the workforce. With the right equipment, resources, and opportunities provided by companies, people maximize and develop their skills while earning salaries and meeting their basic needs. This shows that every person needs to work for survival. The demands for work become higher every year, but work opportunities do not match the people’s expectations. Each person has a different perspective and approach in seizing job opportunities. Given these differences, home-based outsourcing caters to every demand and requirement of job seekers, particularly those in the Philippines. Employees are costly assets because companies need to provide salaries and benefits, such as bonuses, medical privileges, and retirement pays. These security blankets make them stay and perform better at work. Moreover, tenure is one of the indicators of a good career, which is another reason why employees stay. Employees who jump from one company miss the chance of building their careers and honing their skills. They also look forward to more benefits and higher income as rewards for staying in a company. If this trend continues, your company’s chances of bringing in more profit decreases. Longer employee tenure does not guarantee efficiency. Sometimes, people who stay longer reach the plateau and stop seeing their jobs with fresh eyes. For your business to earn more profit, you may need to come up with a radical corporate strategy that can increase your savings and decrease your expenses. This brings in the idea of outsourcing to address your need and getting more work done with better results. It works by contracting service providers, companies or individuals, to perform specific functions usually unrelated to the nature of your company. The first type is called Business Process Outsourcing (BPO). Some of its functions include human resource management, accounting, payroll processing, and customer service. The second one is Information Technology Outsourcing (ITO), which deals more with technical jobs. Outsourcing has become an avenue to use technology to our advantage, and you will be able to maximize the benefits through home-based outsourcing. Different surveys and studies identify Manila, the capital city of the Philippines, as one of the ideal places to establish outsourcing business. To strengthen your belief on why the Philippines is perfect for home-based outsourcing, let us first look on the first side of the coin: the current situation of Filipino workers or employees and what makes them ideal outsourcing partners. According to the Boston Consulting Group’s (BCG) most recent study, Manila has the third worst traffic situation among Southeast Asian cities. The normal travel time for an average Filipino worker starts as early as 5 AM. If they leave their own homes 10 minutes later than usual, they usually miss out buses or trains and suffer the effects of rush hour. The average minimum time Filipinos spend in the middle of the road is 66 minutes or more than an hour. Add 24 more minutes for finding a suitable parking space. Double those numbers and an average Filipino worker wastes 2 to 3 hours a day for driving, chasing buses, or queuing to ride trains. They can already spare those times to extend sleep or spend more time with family, but they are left with no choice. Increasing number of cars is the main cause of traffic congestion as 84% of Manila passengers plan to purchase their own vehicles in the next five years. The situation becomes worse with the constant breaking down of train systems, particularly the MRT (Mono Rail Transit) and LRT (Light Rail Transit). An effective public transportation system can lessen private vehicle volume on the road. The results are that many opted to work from home. Either they would request for a special arrangement with their companies, or they would finally resign and employ themselves. This gave rise to an increasing number of the workforce who are interested, who eventually become skilled, in home-based outsourcing. The Philippine Statistics Authority (PSA) released their latest employment situation report last July 2017. The labor force of the Philippines was 42.5 million or a participation rate of 60.6%. From this number, 40.2 million people are employed or 94.4% employment rate. Among the 40.2 million working Filipinos, 62.5% are males, and 37.5% are females. 27% are ages 25-34 years old, followed by 35-44 (23%), and 45-54 (18.7%). With the total of 68.7%, these are the age ranges for Filipinos to build and provide for their own families. 55.6% or more have jobs in the services sector with sub-sectors comprised of the Housing industry and IT-BPM or the Information Technology and Business Process Management sector. Home-based outsourcing falls under the latter. 63.6% of the Filipino workers are classified as wage and salary workers. 26.8% have elementary occupations or those who do simpler and routine tasks. Most of them earn minimum wage or P512 per day. 68% the labor force are full-time workers or working for 40 hours in a week, while 31.5% work for less than 40 hours. The unemployment rate is 5.6% or equivalent to 2.4 million Filipinos. Even if 94.4% are employed, 6.5 million Filipinos are underemployed or see their jobs as insufficient. They want to have second jobs or additional working hours to compensate for their needs. Filipinos are known as family-oriented. As mentioned, many now choose to work from home or put up their own businesses because they want to control their own time and earn at the same time. In the past, when a couple gets married, only the man is required to provide for the needs of his family. However, the increasing cost of living causes some wives or mothers to find employment to add to the family’s sources of income. Because of this, most women or mothers now find ways to earn while keeping an eye on their children. To spend more time with their families, there are now many fathers who are employed through a home-based outsourcing setup. The situations above affect the employment decisions of Filipinos, but these are opportunities and entry points that triggers home-based outsourcing awareness for many companies. Most of the business centers are located in Makati, Bonifacio Global Center (BGC), Ortigas, and Quezon City, but Filipino workers live in different areas. Accessibility plays a huge role in choosing their jobs. In reality, most job offers in other Metro Manila cities do not give the desired compensation of Filipinos. Job seekers will end up accepting job offers from business centers far from their own homes. Another factor that affects the preferences of Filipinos in choosing jobs is career growth. 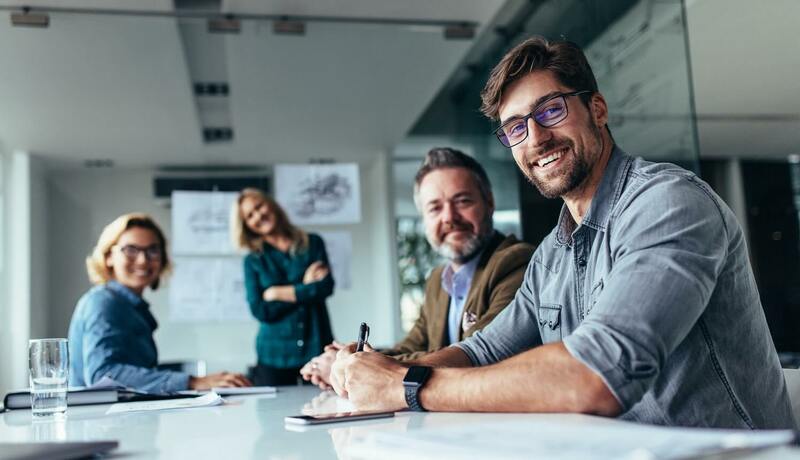 Earlier generations like Generation X (born 1965-1976), Baby Boomers (1946-1964), and Silent Generation (1945 and below) found work regardless of their skills, based career growth on tenure in a company, and learned to endure workplace hardships. These days, Millennials (1977-1995) and Centennials (1996 above) find work based on their passion, skills, comfort, and their impact on the company. Filipinos have to weigh-in among accessibility, compensation, skills, and passion, but home-based outsourcing bridges the gap. It helps Filipinos earn income and build careers at the convenience of their own homes. Let us now look on the other side of the coin or your own business. 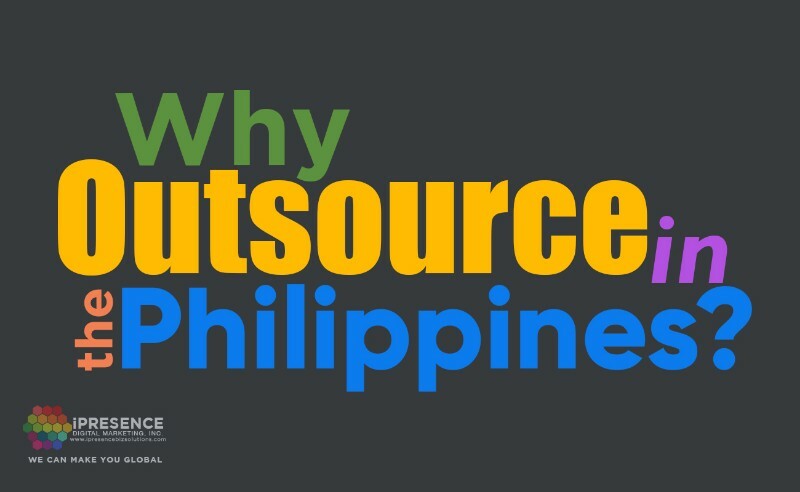 You already know how home-based outsourcing benefits Filipino workers. This time, we will look into yours. You save on capital costs. Outsourcing Filipino workers from their own homes reduce your company’s expenses. They are not required to do field work and reimburse travel and food allowance. All they need for work is a computer unit, a stable Internet connection, and a reliable headset. Most of them have these things before you outsource their service. You also save costs on training through conducting video calls or meetings. They work with comfort while you get better-quality outputs. Filipinos produce better outputs when they focus on a single task. Home-based outsourcing provides more comfortable working environments that help them focus. Filipino workers from home have additional 2 to 3 hours of work because they do not need to travel. Some of them decide their most efficient time to work. This gives your company the best outputs you need. Outsourcing home-based Filipino workers from different locations, backgrounds, and cultures gives your company variety of ideas. Compared to outsourcing workers confined in a single office, home-based outsourcing generates more creativity. For example, Outsource Accelerator provides various angles of information on outsourcing in the Philippines. Its writers come from different parts of the country. Filipino writers are able to share different information with outsourcing companies through The Source, its online community. For instance, your start-up company needs to enhance its marketing efforts. You do not have to do it on your own. Through home-based outsourcing, you can get in touch with a team focused on world-class digital marketing solutions, like iPresence Digital Marketing, Inc. In the Star Wars series, the tagline “May the force be with you” became famous. The force refers to the energy field coming from living things that unites everything in the universe. Going back to the coin, we see now that both sides benefit. Thus, through home-based outsourcing, companies like yours can maximize and recognize Filipino skills as a galactic source and force to shape a better world together.